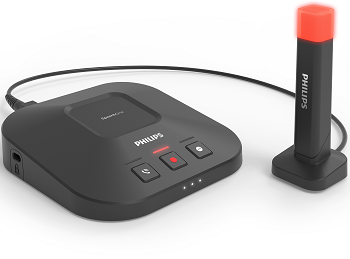 The stable and innovative Philips SpeechOne Docking Station provides wireless charging and easy pairing with the SpeechOne Wireless Headset. The magnetic mechanism makes docking the device incredibly easy. 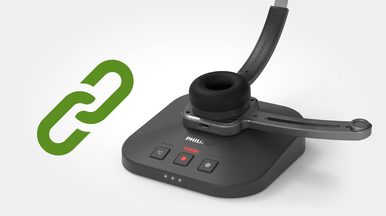 Simply snap-on the headset for a hassle-free and reliable charge. 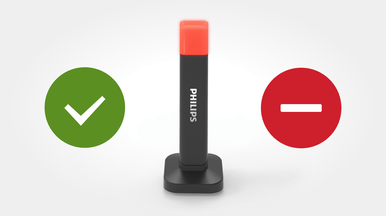 The Status Light reduces interruptions and increases productivity. Benefit from a smoother and easier workflow which saves you time and allows you to be more efficient. 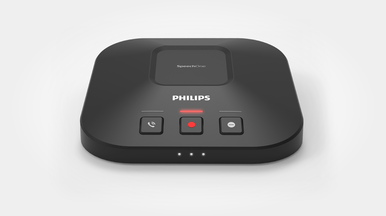 Just place your Philips SpeechOne into the station and it will be paired within moments and is ready for use. This allows you to be more flexible and easily work with various docking stations in different places. 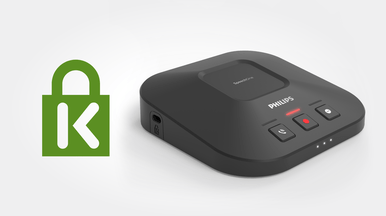 The battery of the SpeechOne headset can be charged easily and wirelessly up to 80% in only one hour. The magnetic mechanism makes docking the device incredibly easy. 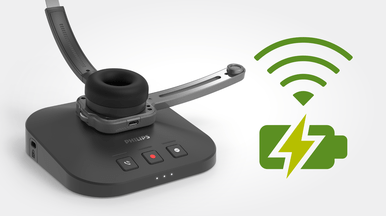 Simply snap-on the headset for a hassle-free and reliable charge. 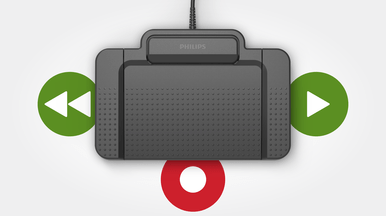 The dedicated buttons on the docking station allow you to control your dictations without having to touch your headset. The LEDs clearly indicate the status of the recording and battery status. You can also pick up or decline incoming Skype Business calls.